Across the City of Dundee. What is fleeting and what will last forever? In Scotland’s Year of Young People, NEoN will envision the paths of ‘digital natives’, those born into an internet and digitally-enabled world. We’ll investigate how this affects our perception of lifespans – considering both our socio-digital lives online and our real-world lives offline – as we’re propelled into a technologically-enhanced future. 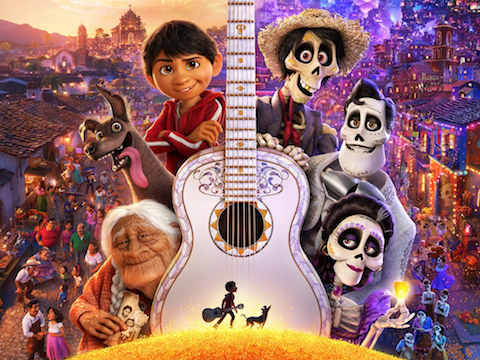 Inspired by the Mexican Día de los Muertos holiday, 'Coco' follows Miguel, a 12-year-old boy transported to the Land of the Dead. Here he needs to find his late great-great-grandfather to help him get back to his family among the living, or else he has to stay there forever. A family-friendly, literally jaw-dropping spectacle, that rightly won Disney Pixar the Academy Awards for both Best Animated Feature and Best Original Song. There will be prizes for the best costumes, whichever side of the great divide inspires you, so seize your moment. 2017 has been designated Scotland's Year of History, Heritage and Archaeology, and as part of the NEoN Digital Arts Festival we're turning the clock back to 1936 when Art Deco cinema Green's Playhouse first opened to the public on the site of today's Mecca bingo hall. 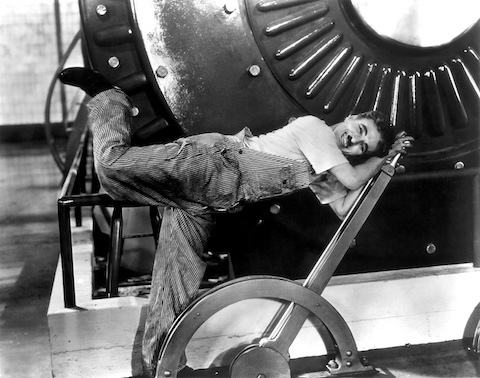 Step inside the iconic tower to watch Charlie Chaplin's 1936 silent comedy 'Modern Times' as the silver screen returns to the site of the original Playhouse for one more night. You're encouraged to dress like the iconic 'Little Tramp' and join us for bingo before the main feature from 7:30pm. NEoN will expand on it being Scotland’s Year of History, Heritage and Archaeology, and will unveil hidden histories by working with artists who use the current (and controversial) practice of ‘media archaeology’. Media archaeologists uncover and reconsider the obsolete, persistent, and hidden material cultures of the technological age – from big data software algorithms to tiny silicon chips. NEoN proposes that artists are future media archaeologists, recorders of our current information-based society, and time-travellers highlighting the continued relevance of our long past. Join us as we dig for the digital, brush the dirt off the non-material, and excavate the internet. 10th Nov 2016 to 24th Feb 2017. Mon-Fri 10am-5pm. 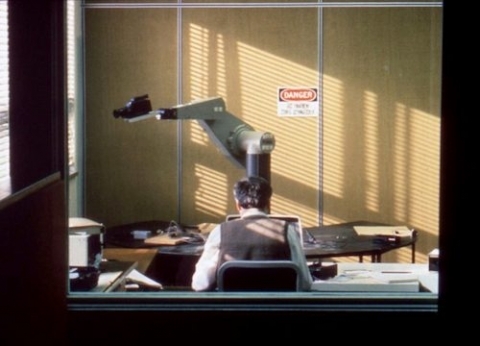 This exhibition asks if machines are now recognising and understanding the spaces they inhabit. NEoN’s festival theme, ‘The Spaces We’re In’, questions the differences between virtual and physical space, but are machines and digital technologies programmed to also understand those differences? The works in this group exhibition show us these spaces from the machine's point of view. Miyu Hayashi, Ruth Kerr, Willy Lemaitre, Tom Sherman. 2017 has been designated Scotland's Year of History, Heritage and Archaeology, and as part of Dundee's Community Hogmanay Celebrations we're turning the clock back to 1936 when Art Deco cinema Green's Playhouse first opened to the public on the site of the Mecca bingo hall. 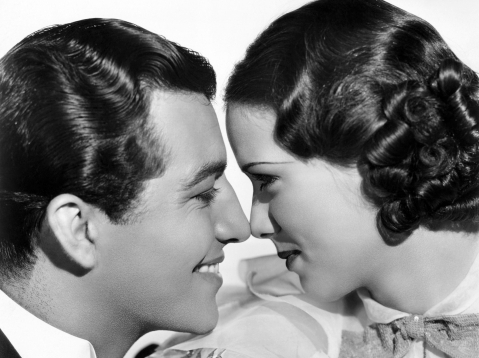 Step inside the iconic tower to watch Metro-Goldwyn-Mayer's 'Broadway Melody of 1936' as the silver screen returns to the site of the original Playhouse for one night only. Dress like your favourite vintage Hollywood star, and join us for bingo before the main feature from 6:30pm. Physical urban space and virtual information space are inseparably intertwined. How does being digital change our sense of our spatial surroundings? Can we play in or animate the hybrid or glitched spaces in-between? Is there negative space in cyberspace? Click here for the full 2016 programme. 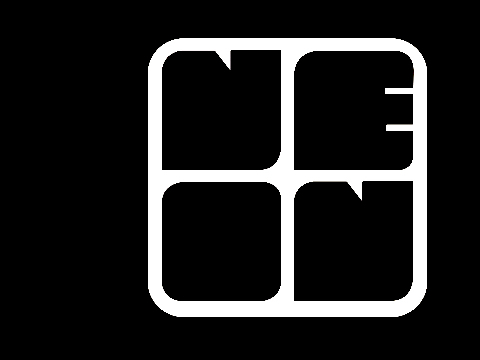 NEoN, now in its seventh year, emcompasses exhibitions, workshops, talks, performances and screenings. It has established itself as a international platform to showcase digital art. Dundee, always a city in transition, continues to show how digital is an important part of it's reinvention. Well done @weareneon for an amazing 2016 Festival - showing how design + art can inspire, inform and entertain. On the 30th anniversary of the Fix It Felix Jr. arcade game, Ralph is still playing the bad guy. His only job is to wreck the Niceland apartment building, so that Felix can fix it back up again. But there's no piping hot power-up pies for Ralph. He dreams of one day being the hero, and winning a medal. Rich Moore's brilliantly conceived 2012 Disney animated feature appeals to all ages, with references to video games old and new. With prizes for high scores and best costumes, come explore the spaces inside and between the arcade machines. It'll be everyone's duty to have a sugar rush. As part of the DiGRA FDG games conference, NEoN is proud to present the work of JODI. The artist duo, also known as Jodi.org, is considered one of the most influential artist groups working on the Web and they are important pioneers in the artistic manipulation of videogames. The exhibition features JODI’s experiments based on the ZX Spectrum, the 8-bit home computer that was manufactured in Dundee. 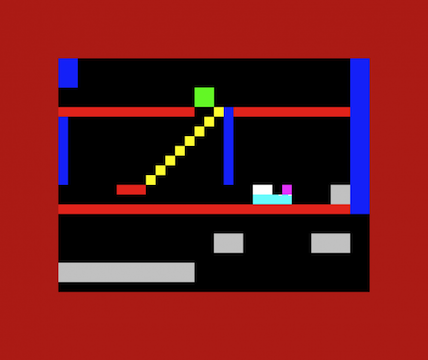 It includes their programmes written in the computer language BASIC and their modification of ‘Jet Set Willy’, the 80s platform game. An exploration of architecture through the daily production of tiny models from 200gsm watercolour paper. A new building or structure designed, made, recorded and published online each day, often as an animated gif. The models are combined into an installation that presents a city located on an imaginary archipelago. Visitors to the exhibition can also stand behind the wheel on the bridge of a ship sailing towards these islands.